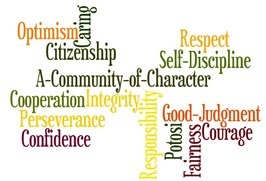 One of our School District’s goals is to maintain a close and positive relationship with our community. Because we look at the whole child, we also emphasize the importance of community and parent involvement. The villages of Potosi, Tennyson, and the additional surrounding townships (that make up the Potosi School District) provide a great place to raise kids. Our community members experience a small town, family-oriented, and values based locale. Being centrally located (and only 20 minutes away), we are a bedroom community for the larger cities in the region (Dubuque, Lancaster, Platteville). Our community, located on the Mississippi River and the famous Great River Road, boasts of the Potosi Brewery, which started in 1852; and beat out both Milwaukee and St. Louis for the home of the American Brewery National Museum.